When we talk about Facebook Ads, we don´t have to explain that the organic reach of Facebook posts is declining and businesses have to pay if they want someone to see the content they have worked hard on. We moved past this phase and have come to terms with it. Facebook Ads can be an effective tool not only when building brand awareness, but also when supporting sales and gaining leads as well. With the endless possibilities it offers, it often surpasses even experienced marketers. 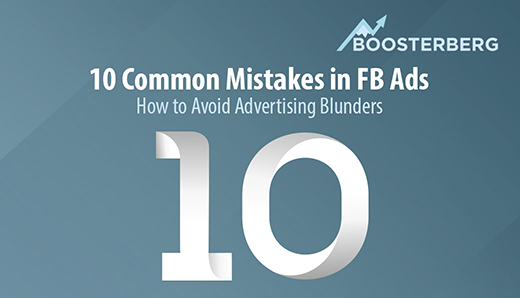 That is why we thought about the most common mistakes made by FB advertisers. If someone has no experience with advertising on Facebook, the easiest way how to start, is to press the Boost Post button. It is an easy and quick way how to boost the content of a Facebook page without spending too much time. The problem occurs when we use this option too often and forget about all other much more effective options to make use of all the possibilities that advertising on Facebook has to offer. The full potential of Facebook can be put to use with the help of the Facebook Ads Manager interface or the advanced interface Power Editor. This is where we experience all the possibilities of targeting and optimizing Facebook Ads has to offer, whereby we use our media budget effectively, as opposed to Boost Post button, which often proves to be the least effective way to spend media budget on Facebook Ads. The moment we decide to advertise on Facebook Ads, we should know our goal, it helps us to not just to evaluate if the campaign was successful, but foremost it helps the Facebook Ads algorithm to know what people to search for on the social network. We chose, of course, our target group, but Facebook searches in the audience for users who most probably fulfil our desired goal. Choosing an incorrect campaign objective can make the fulfilment of our objective significantly difficult. Luckily, Facebook Ads offers a great number of campaign goals we can pick from, regardless if our Facebook Advertising goal is post engagement, traffic, video views, brand awareness, web conversions, app installing and more. To think that everyone is going to like our product or service and they will even want to buy them is a mistake and wishful thinking that can cost money. When choosing a target group, we need to think it through and not to be afraid to make use of the broad possibilities Facebook Ads Manager or Power Editor have to offer. It can easily happen that we end up with an idea of multiple target groups, where we can have more products or services. This opens a door for testing various target groups and cross comparing their performance. As we have a target group or target groups with several thousand users, it is necessary to be aware that every potential customer may like a different type of creative. There doesn´t have to be one picture or text that works for every user, that is why we should prepare more ads for the Facebook Ads campaign to show users from the target group. Not until during the campaign can we see how the single ads work and what is the most popular with our audience. To put it simply, we can gain a large number of ads by combining various pictures and texts. When creating various combinations of creatives for Facebook Ads, we shouldn´t settle for whatever picture and text we think would suffice. We are going to spend money and show ad that represents our brand and that thousands of people will see. Our ad therefore has to be creative and look great. Also, we cannot forget that an ad has to be relevant. Users perceive as of the most annoying kinds of content on social media, irrelevant content without any added value. Got lost? You are reading an Academy article from the Facebook Advertising Tips section. With every Facebook campaign, we should think about the experience users get after clicking on our ad. The success measurements don´t end after the click, on the contrary, it is the beginning of the user´s journey and if we aim for successful conversion, the experience from the journey needs to be the best possible. An important part of the user experience is the website where the user is sent after clicking a Facebook ad. It should be as relevant as possible with the information he is expecting to find. We create this expectation as soon as we present our ad. If we talk about a new product or service, the user, after he clicks on the ad, should find more information without further searching. 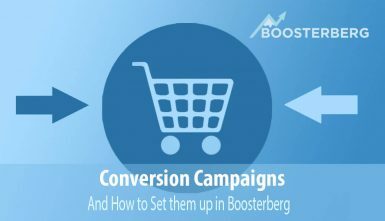 The next step on the landing page should be the shopping process or another form of conversion. Therefore, it is good to consider creating landing pages/microsites that are tailor-made for a campaign and its advertising. As soon as we have enough ads with our campaign message, we pick the target audience for our ad. When choosing a target group, we should consider how many groups could be interested in our offer. We shouldn’t mix them all together into one big group. This approach will cause problems during the campaign when evaluating, which group of users reacts the best to our offer and our ad creative. That is why when planning and creating a campaign we should think about such Facebook ad structure, where we can make use of the potential of our diversified ad creative and we create multiple Ad sets with each of them having his own specific target group. We should display the same ad to all groups, which allows testing, At the same time, we should avoid target group overlapping – we can make sure of that in the section Audiences in our ad account. 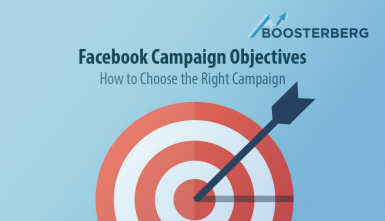 With every Facebook Ads campaign, it is important to monitor the results and optimize the campaign in a way that increases the number of conversions. The first think is to know what our final conversion is and to set a sufficient pursuit of this goal, so that we know when we optimize the campaign, which target group and which creative works best. Our final conversion can be a purchase or a different action with value for us. Reaching our final conversion can be difficult and it requires more complicated marketing and targeting, for example with the use of remarketing or another platform. In this case, we should choose several indicators, soft conversions that provide us with the insight on the campaign´s success and enable us to monitor our partial goals at least. Based on the Facebook campaign´s aim, a partial goal can be the reach, number of clicks, singing up for a newsletter, video views and so on. Facebook Pixel implementation on the web is a must and serves to collect audiences that we can in turn use for remarketing and to reach people who already visited our web and address them with another offer. At the same time, we can very effectively monitor soft conversions and final conversions. This monitoring enables us to optimize campaigns in order to fulfil the goal also with Facebook Ads algorithm. Implementation on the web is quite simple and when using Google Tag Manager, it shouldn’t take more than 5 minutes. Every audience we target with Facebook Ads “wears-out” after a while and we use up the percentage of people in the audience that buys our product or service. That is why we should consider audiences that we can address and that would be interested in our offer. Great sources for such set of people are Lookalike audiences – audiences using seed audience in order to create a set of users in a selected country similar to our seed audience. It can be an audience of people similar to the visitors of our web, our email list, or to our Facebook page fans. Regardless of what our business goal is, Facebook Ads is a very effective tool to fulfill this. If we avoid the mistakes that prevent this tool from working smoothly, we can for a relatively acceptable media budget address a large audience that could show interest in our offer. 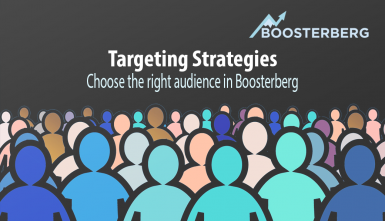 If you are looking for more resources for this topic, check the Facebook Advertising Tips section in our Boosterberg Facebook Ads Academy. If you think our tutorials and advice is too advanced for you and you need to start from the basics, either contact us to discuss your particular questions or check out this complete guide to getting started with Facebook Ads written by Kevan Lee.